We have chosen the following resources as the most reliable, accurate and up-to-date available online. For photo, video or audio resources, see our Media page. The Foundation is a non-profit organization engaged in an ongoing effort to bring accessible and interactive history to a new generation of critical thinkers. With a wide topic base including the assassinations of the 1960s, the Watergate scandal, and post-Watergate intelligence abuse investigations, the MFF's vast digital archive contains over 1.2 million pages of documents, government reports, books, essays, and hours of multimedia. 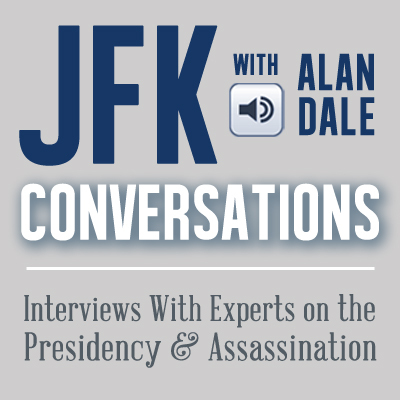 The AARC's holding comprise the most extensive collection of records on the JFK assassination in private hands. 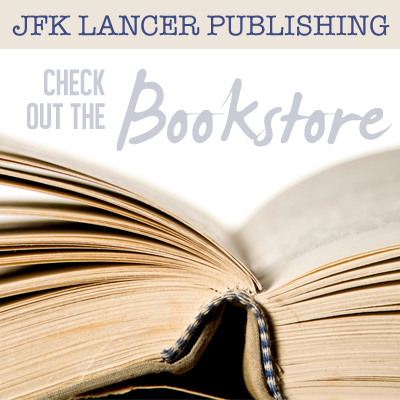 It has approximately 1,500 books on assassinations, organized crime, covert activities, and a wide variety of other subjects relevant to the study of assassinations and related topics. Its "main files" consist of newspaper and magazine articles, unpublished manuscripts, trial transcripts, photographs, tapes, notes letters and other materials which fill some 36 four-drawer file cabinets. Membership is available. Many of their holdings are available on their website. At the end of the Cold War and the passage of the 1992 JFK Assassination Records Collection Act, the U.S. government declassified an enormous number of formerly-secret documents. Among the most stunning are those pertaining to the 1963 assassination of President Kennedy and subsequent investigations. These records contain stark indications of conspiracy, and a great wealth of material concerning the hows and whys of the ensuing coverup. The documents include startling "new" facts about 1960s foreign policy regarding Vietnam, Cuba, and the other front lines of the war against Communism. Through the generosity of Harold Weisberg (1913-2002), Hood College has obtained the world's largest accessible private collection of government documents and public records relating to the assassination of President John F. Kennedy. Through the use of the Freedom of Information and Privacy Act (FOIAPA), Weisberg acquired from the government some 250,000 pages of documents, largely Warren Commission, FBI, Secret Service, Justice Department, and CIA records. The archive also includes about 85,000 pages of FBI documents on the assassination of Dr. Martin Luther King, Jr., and some material relating to the assassination of Senator Robert F. Kennedy. The purpose of this website is to make as much of the primary information concerning the assassination of President John F. Kennedy available to the general public as possible, in a manner that is user friendly and unbiased. A secondary goal is to allow a forum for authors on all sides of the issue to present their views. The library supports programs designed to inform and educate students, scholars, and the general public on the history of Congress, the legislative process, and the current issues facing both local, state and national governments. The library encourages the preservation of materials that document the work of government, including the papers of U.S. congressional representatives, Texas state legislators, and judges. The Library is located on the Baylor University campus in Waco, Texas. Most of their holdings are on their website. This is a new website, created by the JFK Presidential Library and Museum, celebrating the legacy of the JFK presidency. You will find timelines, audio clips, photos and easily downloadable resources available for creating your own presentations. Gary Mack (donations, film and photo library) The Sixth Floor Museum at Dealey Plaza chronicles the assassination and legacy of President John F. Kennedy; interprets the Dealey Plaza National Historic Landmark District and the John F. Kennedy Memorial Plaza; and presents contemporary culture within the context of presidential history. In 1989, and later through City of Dallas Ordinance 92-0438, the Dallas Police Department transferred to the Dallas Municipal Archives, Office of the City Secretary, all police records relating to the assassination. These records have been available to researchers since the transfer. The collection contains 11,406 documents and photographs, including homicide reports, affidavits, witness statements, newspaper clippings and correspondence. The collection is also available on microfilm. The Municipal Archives possesses the original files, except those that have been transferred to the federal government permanently. John F. Kennedy was killed on November 22, 1963. Almost 30 years later, Congress enacted the President John F. Kennedy Assassination Records Collection Act of 1992. The Act mandated that all assassination-related material be housed in a single collection in the National Archives and Records Administration (NARA). The resulting Collection consists of more than 5 million pages of assassination-related records, photographs, motion pictures, sound recordings and artifacts (approximately 2,000 cubic feet of records). Most of the records are open for research.